Great advocacy from Indonesia Windows Expert IT Pro MVP Tutang MM, together with Riswan (Chairman of MUGI Priangan) and two Microsoft Student Partners (MSPs) Luthfia R and Dian M, at a recent radio session on air for 93.4FM in Bogor! This is one of a rare chance where they get to introduce the local technical communities such as Microsoft User Group Indonesia (MUGI) and Windows Server System Indonesia (WSS-ID), and encourage others to join them in learning and sharing technical knowledge on radio. Tutang also gave a preview of the latest software products launched by Microsoft recently including Windows Server 2012, Windows 8, Office 2013, Windows Azure, Windows Phone 8 and more. 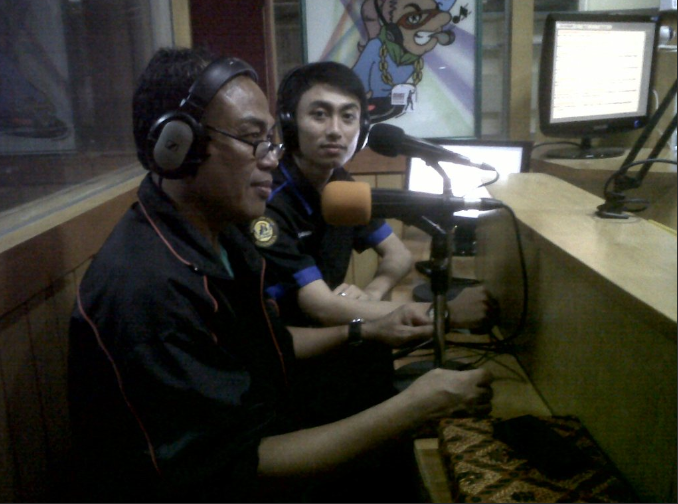 Radio 93.4FM has a broadcasting reach of more than 500 audience during Tutang’s session. Thanks Tutang for reaching out to the folks in Bogor and introducing them to Microsoft products and technologies!